Para hin iba nga mga kagamit han Bulan, pakadto ha Bulan (pansayod). 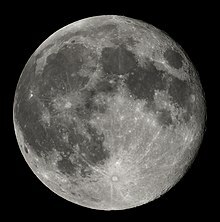 An Bulan (Iningles:Moon) (Pambansa:Buwan) amo an naguusa nga natural nga satelayt han kalibutan. An pagsirang adi guihapon ha sinirangan/isti. An katungga san bulan in diri nasikal an kapawa san adlaw, ansiya nga nahurma ini nga mga kurti bisan natakin hiwi an anggulo san adlaw kun kalkuladoron an dagaw niya. Needham, Joseph (1986). Science and Civilization in China, Volume III: Mathematics and the Sciences of the Heavens and Earth. Taipei: Caves Books. ISBN 978-0-521-05801-8. http://books.google.com/?id=jfQ9E0u4pLAC. "Revisiting the Moon". New York Times. http://www.nytimes.com/2014/09/09/science/revisiting-the-moon.html. Ginkúhà dida han 8 September 2014. Jolliff, B. (2006). Wieczorek, M.; Shearer, C.; Neal, C.. eds. New views of the Moon. 60. Chantilly, Virginia: Min. Soc. Amer.. 721. doi:10.2138/rmg.2006.60.0. ISBN 0-939950-72-3. http://www.minsocam.org/msa/RIM/Rim60.html. Ginkúhà dida han 12 April 2007. Jones, E.M. (2006). "Apollo Lunar Surface Journal". NASA. Ginkuhà 12 April 2007. "Exploring the Moon". 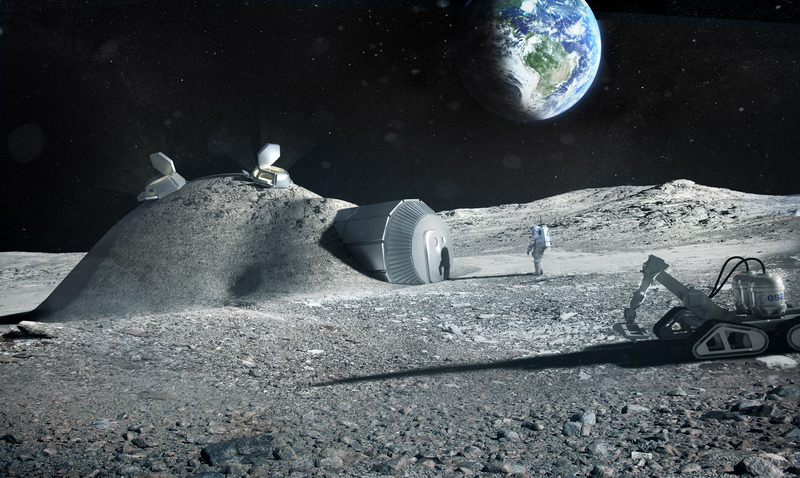 Lunar and Planetary Institute. Ginkuhà 12 April 2007. Teague, K. (2006). "The Project Apollo Archive". Ginkuhà 12 April 2007. Wilhelms, D.E. (1987). "Geologic History of the Moon". U.S. Geological Survey Professional paper 1348. Ginkuhà 12 April 2007. Wilhelms, D.E. (1993). To a Rocky Moon: A Geologist's History of Lunar Exploration. Tucson, Arizona: University of Arizona Press. ISBN 0-8165-1065-2. http://www.lpi.usra.edu/publications/books/rockyMoon/. Ginkúhà dida han 10 March 2009. "Consolidated Lunar Atlas". Lunar and Planetary Institute. Ginkuhà 26 February 2012. "Clementine Lunar Image Browser". U.S. Navy. 15 October 2003. Ginkuhà 12 April 2007. "Google Moon". Google. 2007. Ginkuhà 12 April 2007. "Moon". World Wind Central. NASA. 2007. Ginkuhà 12 April 2007. "NASA's SKYCAL—Sky Events Calendar". NASA Eclipse Home Page. Ginkuhà 27 August 2007. "Find moonrise, moonset and moonphase for a location". 2008. Ginkuhà 18 February 2008. "HMNAO's Moon Watch". 2005. Ginkuhà 24 May 2009. See when the next new crescent moon is visible for any location. Ini nga pakli kataposan nga ginliwat dida han 10:28, 11 Enero 2015.